Welcome guests with your Happy Valentine's Day wishes! 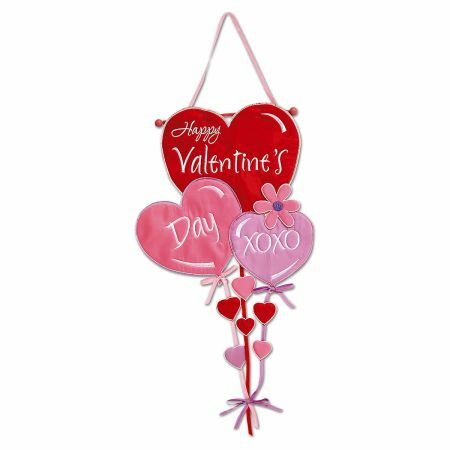 Weather-resistant padded nylon hearts trimmed in streamers accented with bows. About 16" x 40"L overall. Wooden hanging dowel and cord included.